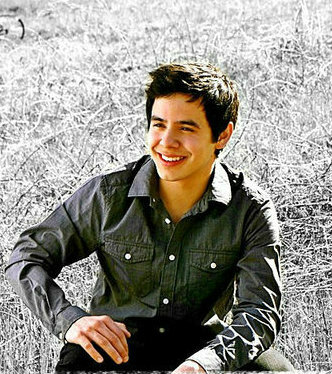 « HAPPY 23rd BIRTHDAY David Archuleta! 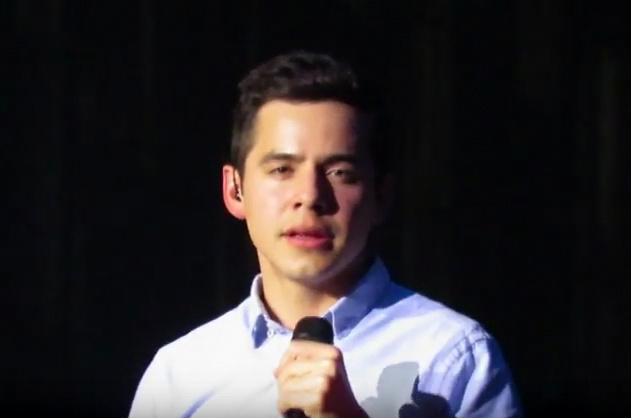 David Archuleta – The Next Romantic Heartthrob? We all love that voice. 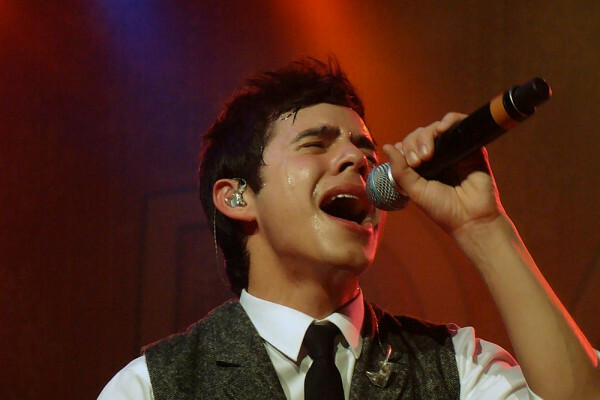 David Archuleta can sing anything. When he comes back from his mission he is going to conquer the world, one song at a time. We know he will have a phenomenal singing career. But when he has been there, done that and has a little time on his schedule, what else should he do? He could go look for his kind of perfect, you say? Maybe. Well, I am a demanding fan. I want to put him to work – in the movies. I have always thought David would make a wonderful comedic actor, what with his “dry wit” and “oh gosh” demeanor. Or he could be a romantic lead. Just look at that face. HEARTTHROB! – if ever there was one! David himself has said he enjoys acting and would love to do it again. He has some ideas about the people he wants to act with (6:40) and has managed to overcome his fear of acting (9:20). And he is open to acting in a movie or series in the US. He didn’t say what roles he would like to play. But I think starring as the heartthrob in a romantic comedy would be perfect. I know what you are thinking. Kissing is de rigueur in romantic comedies. That might prove a bit difficult for a guy who claims he has yet to lock lips with anyone. But look at You’ve Got Mail – no kissing till the very end. With some judicious camera work and editing he could even get away with a fake kiss. What I wouldn’t give to see David on the big screen loping through Central Park with his dog by his side on his way to meeting the girl of his dreams. A movie soundtrack album with David singing Over the Rainbow would be icing on the cake. 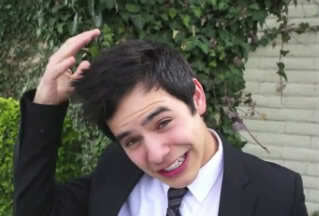 For the longest time I had thought that I would be content if I could just see David in a romantic comedy. I wasn’t sure about his potential for serious drama until I saw him emote and spill those tears in Nandito Ako. As I was writing this and casting around for an example of a dramatic role for him, I came across this announcement by 20th Century Fox that got me really excited. They are looking for someone between the ages of 18 and 22 to play a young Elvis in The Last Train to Memphis. Elvis hopefuls are required to submit an audition tape of themselves reading some lines from the movie script and another of their singing 6 to 8 bars of a pre-1957 Elvis song. Well, we all know someone has already got the singing tape done. But would he ace the audition? I think 20th Century Fox should wait another 6 months to find out. What do you think? Have your say in this poll. 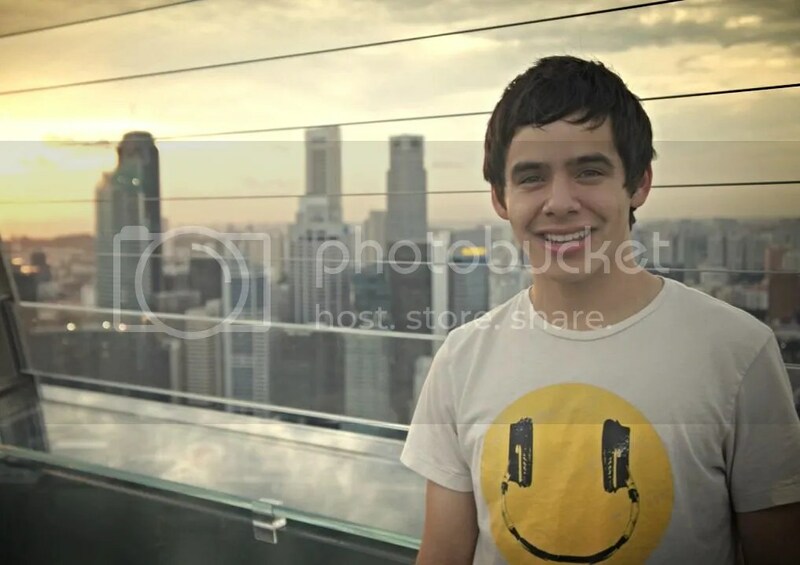 This entry was posted on Saturday, October 5, 2013 at 3:37 AM	and is filed under @DavidArchie, @kariontour, Actor, David Archuleta, Elvis. 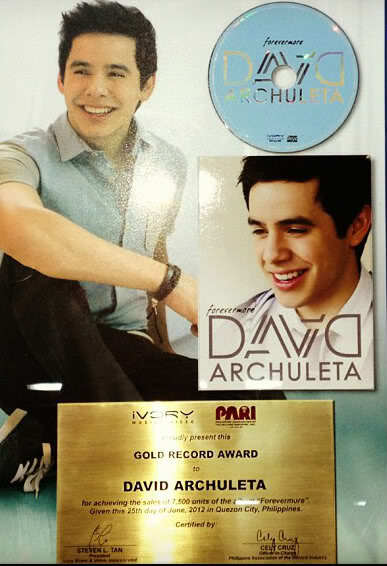 Tagged: #DA2014, actor, David Archuleta, have mercy, It's all good, model, singer, songwriter. You can follow any responses to this entry through the RSS 2.0 feed. You can leave a response, or trackback from your own site. Fenfan… I am just on my way out the door… thought I would glance at the new page. You had me laughing and I have barely read any of it yet!! I look forward to reading, enjoying, and taking in all the good stuff… a little later. Gosh… Good Job! Which takes me to your polls. David will blow us away in any role he plays. He may play them all before we know it. He has the makings of not only a great singer but also that of an accomplished actor. The future is in his hands and I’m not getting off this ride! David would be great playing Elvis, he even wore an Elvis Tshirt on a few occasions and said he wasn’t Elvis after singing and sounding just Elvis. 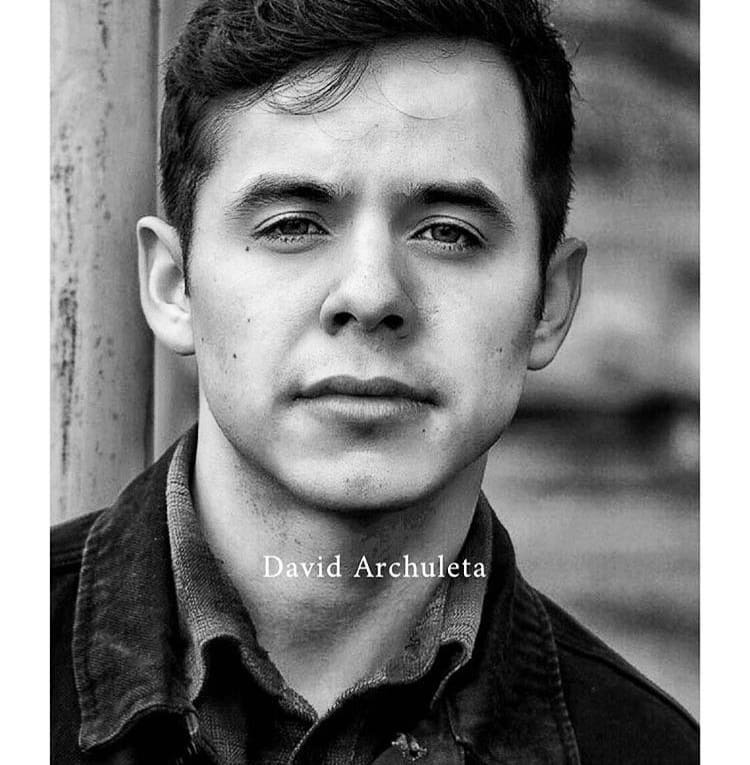 Awwww Love Me Tender, David was the winner by a mile, sorry had to say it 🙂 He’s also got that natural lip curl and I think David is much more handsome than Elvis. “I’m not Elvis” comment at the end of this. Mrs. Presley obviously has given her seal of approval from what I see here. Oh and Angelica, that heartthrob gif…perfect. 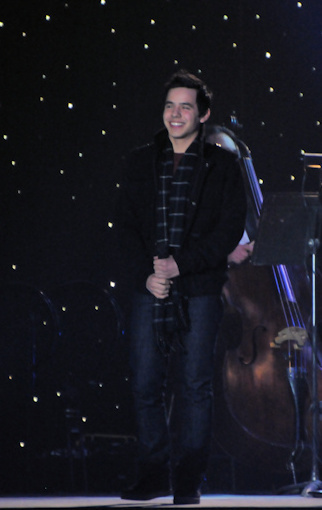 I love this subject,and every time I even think about David Archuleta on a movie screen someday…just …gahh! Certainly agree Fen.♥and the the idea of a romantic comedy makes me smile ear to ear!! :)) I am convinced if he acts again,he can do just about anything. It is so much fun to contemplate all that David is capable of, isn’t it? I just loved your article! 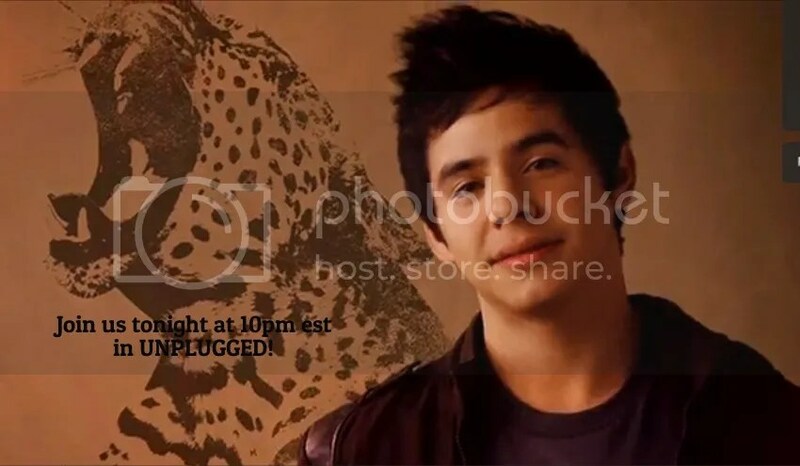 In NA chat we talk incessantly about the possibility of David on the big screen. So glad you decided to write about it. I hope it happens as I think he’s a natural! The next romantic heartthrob? For sure! It would be refreshing to see his face on the big screen, and his smile lighting up the entire theater! Not sure I agree with the Elvis comparisons as I see David as more talented than Elvis was. But do I think he could pull it off? Absolutely! I almost fell off my computer chair when I heard David sing an impromptu “A Whole New World” in one of the videos you posted! Thanks so much Angelica for the heartthrob pic/gif. It.’s perfect! And that Hollywood video – lol – he’s so Hollywood! #2 DJA Yay for the lip curl. I forgot about that; how could I? I keep thinking about that pose he did in the Elle photoshoot – he looked so Elvis or even James Dean! And Mrs Presley makes me LOLOL. She certainly approves. #7 Skydancer/#8 Bebe I will camp in the cinema and never come out when they show David in the lead in a rom com. Can you imagine a close up of his eyes 30ft big? And I think the Vangie ads and NA have shown us he has the potential to be an accomplished actor. Don’t forget to vote in the poll everyone! Fenfan, great article! The camera certainly loves David! The movie I’d most like to see him make though is a live concert extravaganza… with state-of-the-art surround-sound … on IMAX!!!! Love this! David’s first try at acting has shown a lot of potential. As we watched, we could see how much he grew as an actor in just a few weeks. He mentions that he’d love to take more acting classes and would like to try more acting roles. 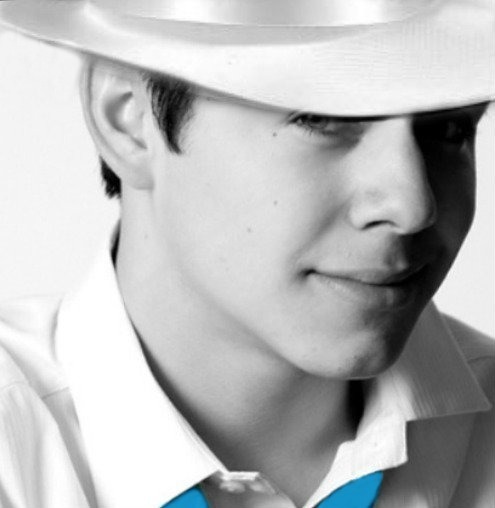 While I see him first and foremost as a singer, I’d love to see him on the Big Screen. I think a romantic comedy with some singing in it would be perfect. Do I think of him as another Elvis? Yes, and no. No, because I think he’s a lot different in his persona. But yes because of the type of films; romance, comedy (he did so good in all the funny parts and in the Vangie vids), and lots of singing. And I think he would be an amazing Elvis! 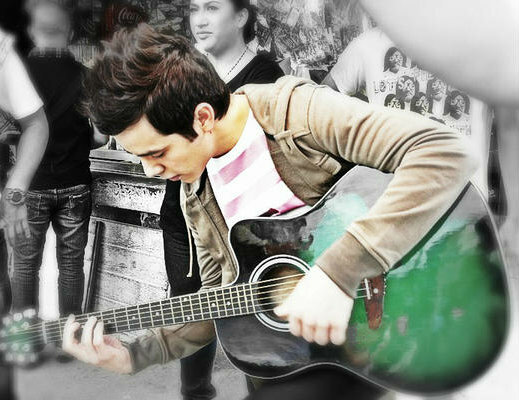 No lip syncing required, he plays the guitar, has the heartthrob looks, the charm, and yes, even the patented lip curl! It pays to talk about David all the time. Everyone in my church knows how much I love him. I’ve won over a few fans including the pastor’s wife and at the end of service she was telling me they were talking about David in Sunday School class. I wasn’t there and I thought maybe she was going to say David and Goliath and laugh. But she didn’t she was talking about how good a person our David is and how he includes God in everything he does, with him feeling blessed with his voice and yet is so modest about it, and that is why Jan loves him! I couldn’t agree more! 🙂 So David was part of the Sunday School lesson! Isn’t it interesting that David has a lip curl?? Jan, I think it’s great to hear that David is discussed in church, he is a great example. 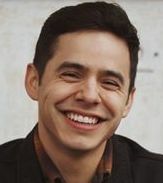 When my grandkids told me that their service (not a Mormon church) included a discussion of David Archuleta and his example really showed that there are no boundaries with being a good role model for today’s youth. I had seen the tweet for David mail but not the Facebook mention. I don’t know why but the facebook one makes me think we need to get mail to him more so now that his return is getting closer. Kari is sending another one in November so please commentor’s and lurkers get your mail sent!!! And these tweets. Sounds like plans are in motion! 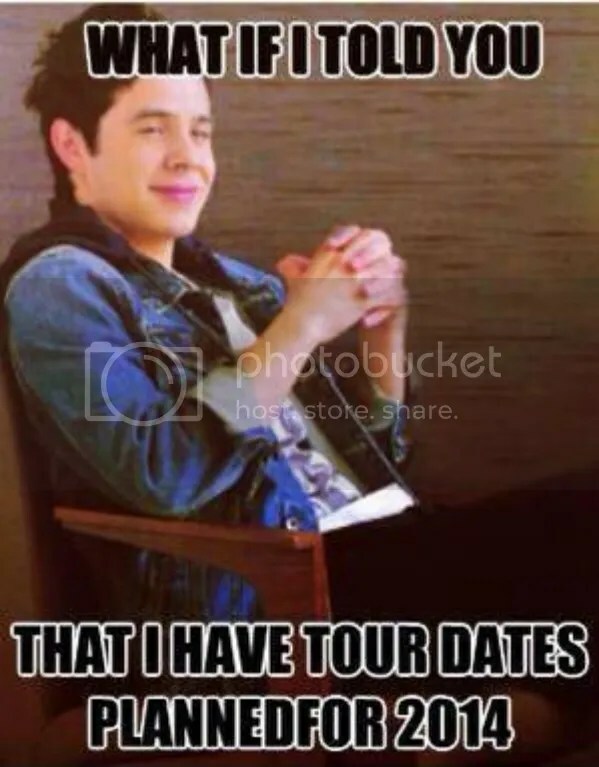 @CanadianArchie @DavidArchie we will make sure you have time to plan once things get confirmed. “ONCE THINGS GET CONFIRMED” !!!!!!!!!!! I hadn’t listened to BEGIN. for awhile, so I put it in this morning on my way into town. I had other things on my mind so I was listening, but not like I usually do, I wasn’t even thinking about David – it was more like they were on the radio and I was hearing them for the first time… and I was listening, really listening to the beautiful music, the melodies, to the voice, to the words, their meaning, and how they were presented in song, and it hit me once again how incredibly gifted he is. It’s the subtleties that stand out to me. He is an artist in every sense of the word. Love his lip curl!! Cuter than Elvis’ any day! DJA, my church is not LDS either and that is what’s so wonderful about it all. He can “convert” anyone, just being David!!! He is such a great human being. Fenfan, loved your article. The video clips made me smile…and miss him. Like we’ve said many times, David is a chameleon–he can morph in a moment’s notice–and he’s not afraid to try things outside his comfort zone. I think he’s capable of just about anything he puts his mind to. Now what that is going to be, will be interesting to see. Hmmm…what could be “turned into ” an ornament? Djafan, I second your 10 exclamation points: “ONCE THINGS GET CONFIRMED” !!!!!!!!!!! Hi Kaycee!♥ I sure do miss our lovable chameleon! Hi Emme! love your story”“oh wow grandma, that’s a good one!” haha . MT, the missing never goes away but I think right now it’s intensifying due to the proximity of his return!!!! You would think we’d be getting used to it by now, that it would be getting better instead of worse. But I think you’re right. I really just want him to sing since it’s what he does better than anyone else. That said, if he wants to pursue acting I would like to see him do a dramatic role. He showed he could portray deep sorrow and anger in the role of Josh Bradley and that’s the kind of role that would get people to take him seriously as an actor. Romantic comedies come too close to the trap I think Elvis fell into with acting: besides the problem with the Colonel’s micro-managing him for maximum percentage, he got trapped into roles where he was essentially just a pretty face. Personally, I would love to see him do one dramatic role where he blazes across the screen with such furious passion and intensity that he gets nominated for best actor. Then just walk away and leave them wanting more. Let them buy his music and go to his concerts if they want more. He emotes so much on stage. It’s almost like watching a play, all the subtle and not-so-subtle feelings that cross his face when he is singing, the way he makes you feel everything he’s feeling. 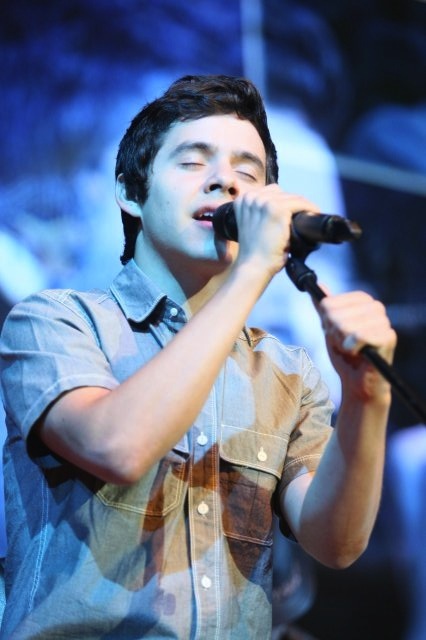 But focus all that richness and beauty like a laser into his singing because that is what he does best. Oh. My. Goodness. I just watched that Happy Birthday video clip! Where does all that amazing soul come from?! 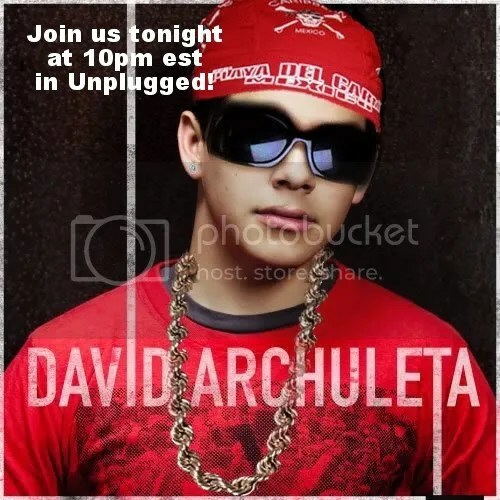 I would love to hear a little more of that soulful R&B from David when he returns. It just flows so effortlessly from him. Kaycee, The hazel eyed soul singer! I want more more!!! Yes, I was just saying the other night it would be really cool if David blew the socks off of everyone in the movie theater with a good role in a feature film. 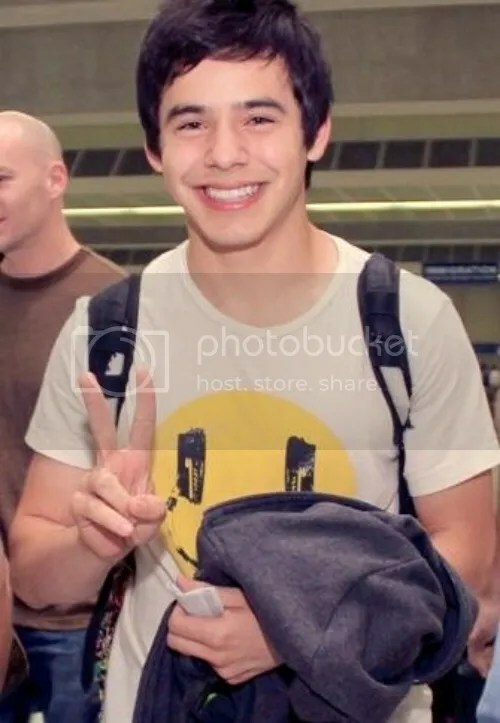 Later, as they see his name scroll across the credits while he sings the movie’s theme song….”Theme sung by David Archuleta”, they realize that “He can sing too?? ?” Of course I want him to concentrate on his singing career but a little sideways leap can open his popularity up to a new level!!! Hope he has some movie offers waiting for him. Fen, I loved this article. So upbeat. Made me laugh when David said “so much good food out there”. Interesting that he spoke of wanting to understand people. Such serious thinking going on. And throughout the interviews he is constantly expressing his gratitude. Gave me goosebumps to hear him talk about returning to music after his mission. “Can’t wait to give you guys more music, more performing.” Weren’t there fans who thought he was finished with music? How could they possibly believe that? And now we are talking seriously about tour dates. I have a difficult time seeing David as Elvis. He does have all of the good Elvis qualities, but for me David has already surpassed him. Not in monetary or popularity measure, but in so many other ways. I have been giving this topic considerable thought. 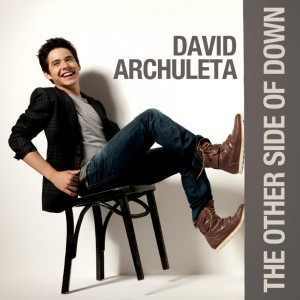 For the short term, I am not in favor of David mixing acting in to his singing/songwriting career. One thing at a time please! He has hardly scratched the surface of his professional career and he has the extra burden of restarting when he returns from Chile. Consider the career of Frank Sinatra. 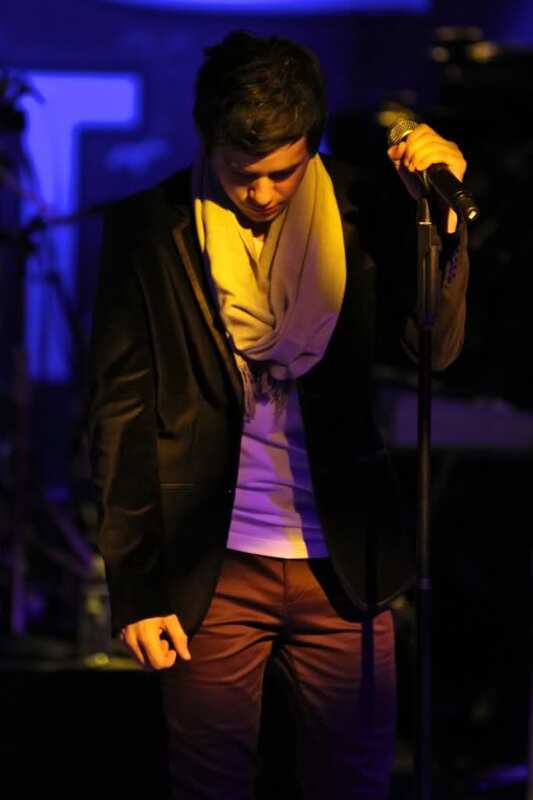 He started as a young singer who had fans swooning at his concerts, but waited to begin acting when he was more mature. Frank had the qualities of confidence and an intensity that comes with more life experience. Everything in its own time. David has an uphill climb ahead. I think the distraction of acting takes his focus of the prize. I wouldn’t object to him doing some fun cameos though! “He started as a young singer who had fans swooning at his concerts, but waited to begin acting when he was more mature.” I see him first as a singer, too. While I wouldn’t mind seeing him up on the big screen eventually, I agree that his singing career needs to get back on track first. Plus, the bigger the star, the better the role they are offered. If David ever does do a movie here, I’d like it to be a quality film. haha That pic …… not so sure about superman. MT, can the outfit come with a silver belt? My sister sent me a bunch of .gif’s of Baby’s Firsts. These made me laugh out loud! Baby’s first time picking out a recipe in a magazine. Baby’s first time forgetting how to use a spoon. First time trying to get a drink from a hose. #DA2014 Starting on the bottom part of the last tower of the Temple! Whoo hoo!!! 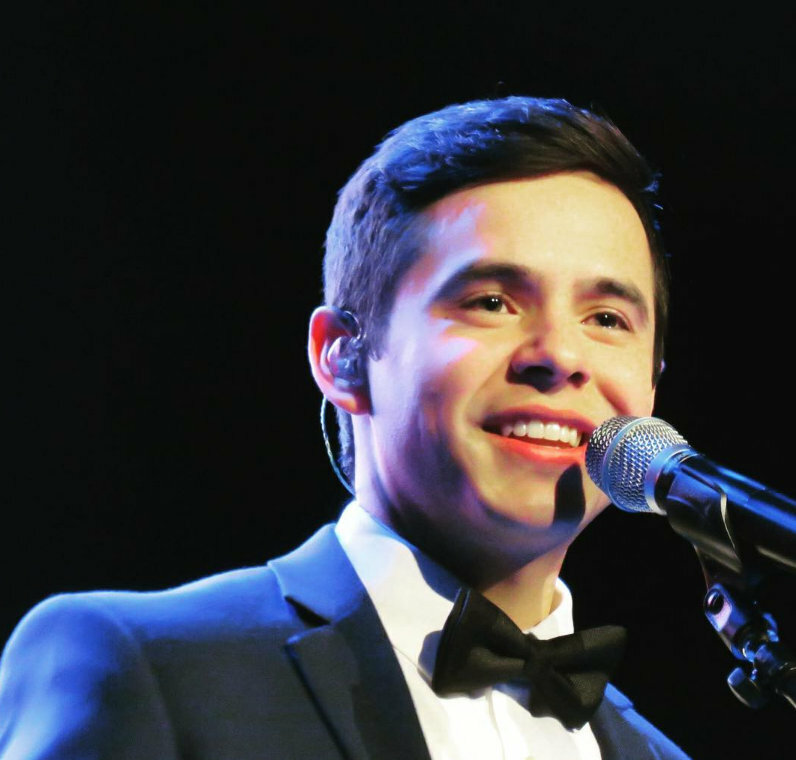 “…..counting the days till David and his musical, wonderfully talented, handsome self returns”. She reminded me why we are getting soooo excited! I hear you Abrra. 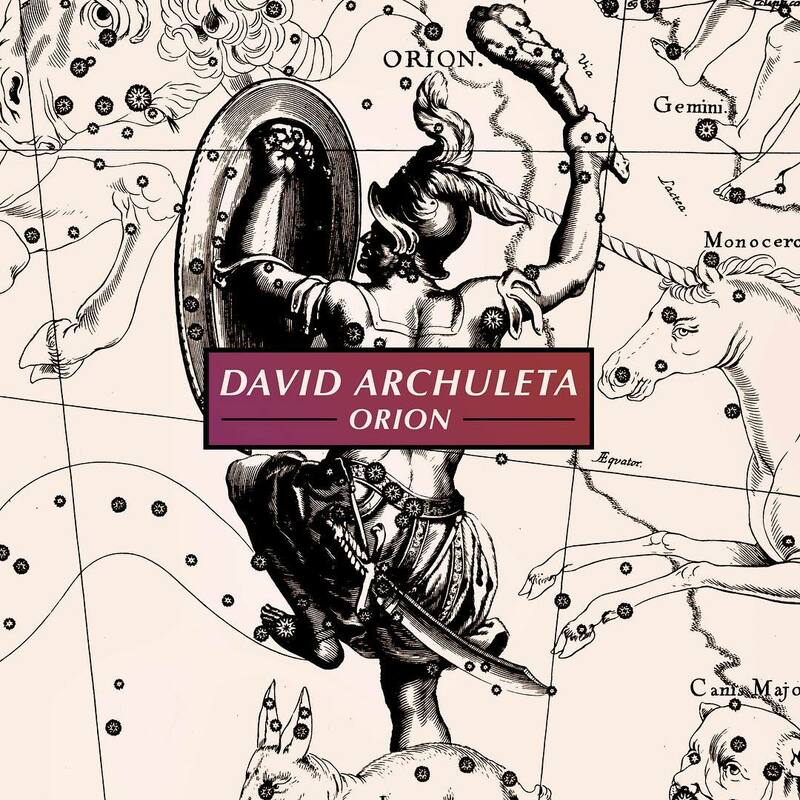 David’s voice is number one. But as seen in NA, the guy has acting skills and with a gooood project it will only bring attention to him and then he can slay them with his voice. Miley doesn’t have the voice yet she brought attention to herself and her music is number one all over the world and it’s a pretty good album. Not that I’m saying David should ever do the antics she’s done for attention but the key word here is attention. He brings attention to himself and then releases his music and it gets the attention it deserves. Oh! Just last night I found this on twitter, posted by Mackenzie Harris. Must be the same time? We speak the same language! Exposure, exposure, exposure is the name of the game in showbiz. Bring attention to him in a good movie and that attention will spill over to his primary career. This video has gone viral on the web. 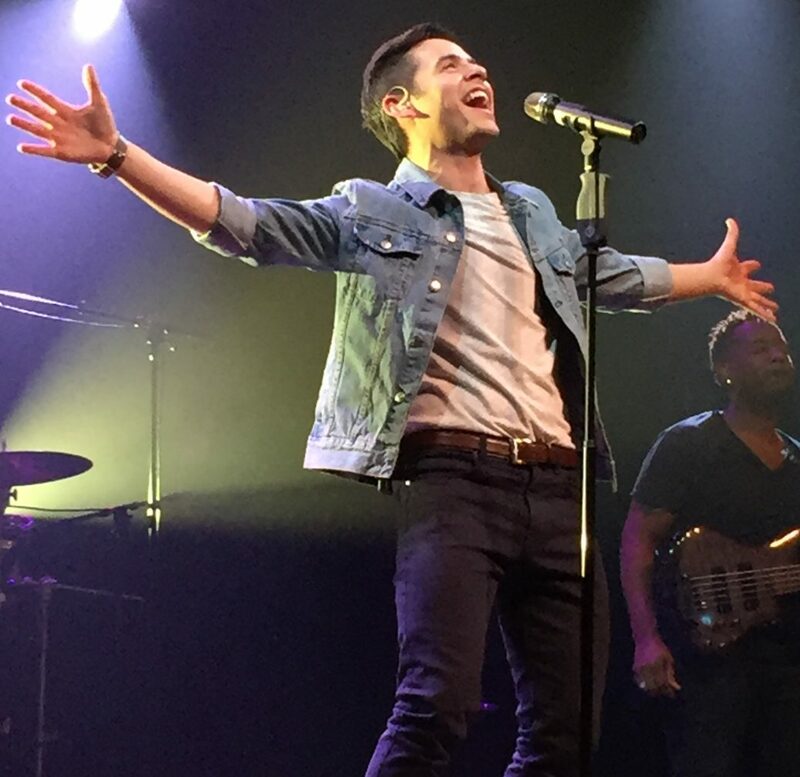 @DavidArchie: Maybe it’s your swoon-worthy voice, but girls everywhere are going completely loca for you! 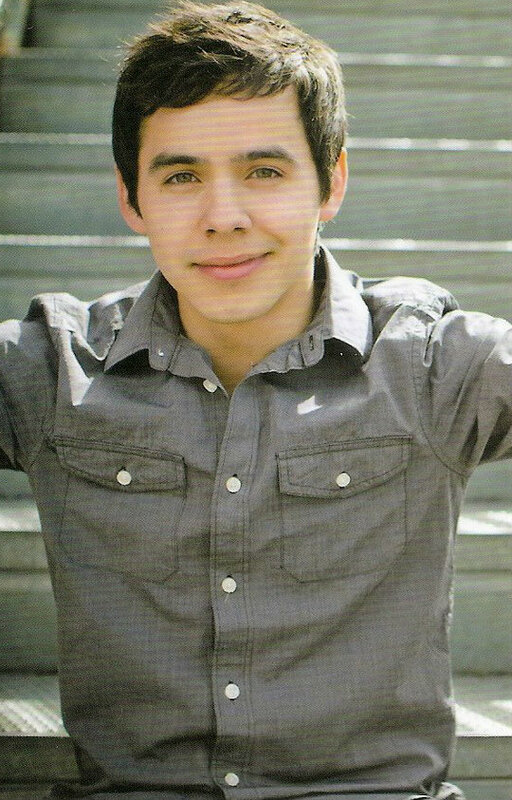 The 22-year-old singer’s loyal fans can all agree that Archuleta is one adorable piece of talent! Latina Magazine knows what it is talking about!! 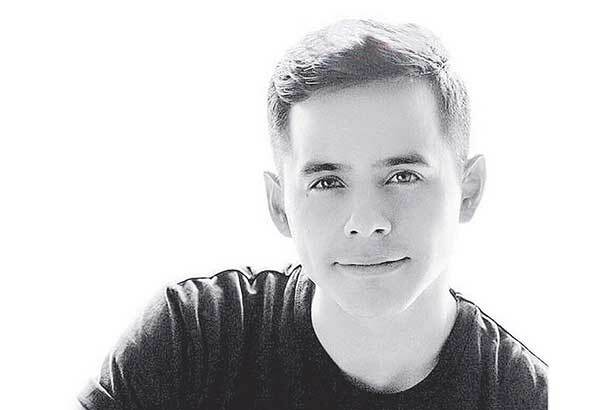 Since seeing David on AI, which was Before I had ODD, I have longed to see David play “Tony” in West Side Story,preferably on a “maxi screen”. I would die and go to heaven. Good point dja – it is so tough to get noticed in the entertainment industry, (may partly explain why some go to the extremes they do) maybe an acting gig, like a small dramatic part, would pique interest and get people checking him out. His talents are too many and too great to not be mined and shared. I had been unable to get on the internet for the longest time because fire at my internet service provider knocked out a bunch of cables that left many people without access. Anyway things are back to normal and I can see that you guys have been having a great conversation going on while I’d been gone. It looks like we are all agreed our guy can act and should do it but we are not quite of one mind about when he should start dazzling the world with his acting! I want that live concert movie with surround sound on Imax too…right now. I want him to tour the world, slaying everyone with his voice. I want him to turn in an award-winning performance in a blockbuster movie. I want him to win grammys, emmys, oscars, tonys and every accolade there is to win. 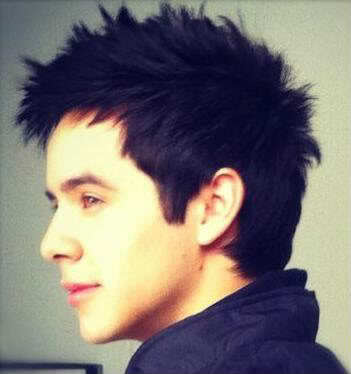 Most of all I want him to sing and be happy being just David. #40 my beautiful hometown looking even more dazzling with that handsome fella in the foreground. Fen, isn’t it great how David improves any landscape? 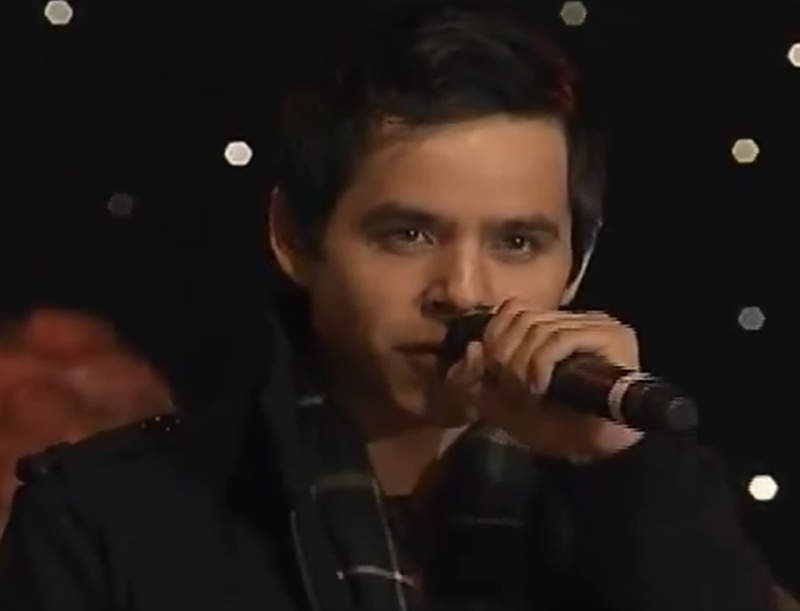 My hometown also dazzles when handsome David is here. So excited to think this may happen again soon. Well, kinda soon. Today I have the certainty that dreams come true. 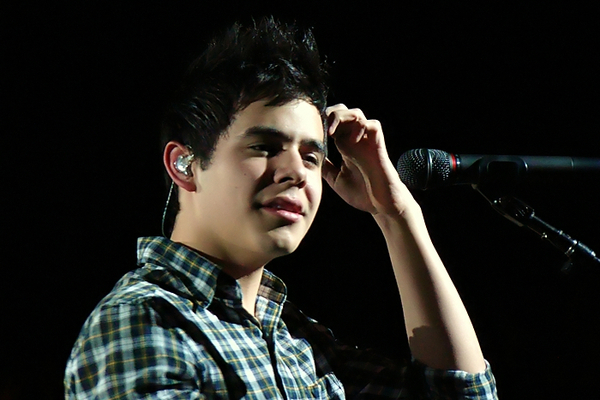 Part of my dream was done on July 15, 2012, when I saw David for the first time. Then I Started to dream again. 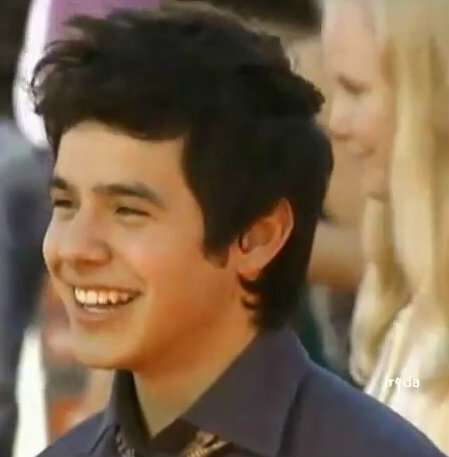 Would have any chance of being in the first concert of David, when he left his mission in Chile. And that idea began to dance in my head. Today I have in my hands my passport with the visa, that dream will come true in 2014. #throwbackthursday picture tweeted by Kari has thousands of likes! You, Jinky Espaniola Necor, Linda Cota Spivey, Suhaila Archuletta and 34,060 others like this. Congratulations Gladys! Hope to meet you at that first concert when he returns! Gladys, I love your spirit, you have made your dream come true! Will see you in 2014! I didn’t realize you had videoed that Crazy – it’s been the one I listen to in my car since the first time I heard it, thanks! How could I resist such a striking invitation! David overshadows even a jungle leopard. 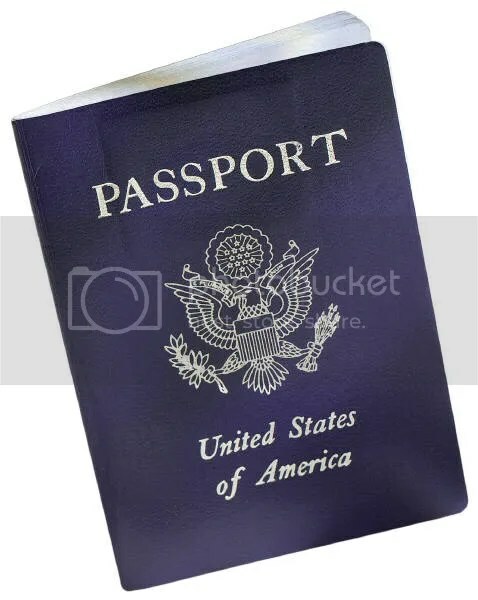 on obtaining your passport and Visa! I’m so proud of you. Looking forward to seeing you in the US of A!